Home >> Our Providers >> Kristi A. Kennedy, C.P.N.P. Kristi Kennedy, a native of Georgia, earned her associates and bachelors degrees in nursing at Clayton College and State University. She obtained her Masters of Science degree as a Family Nurse Practitioner from North Georgia College and State University, and completed her post-masters certificate as a Pediatric Nurse Practitioner from Georgia State University. Kristi is a member of the Georgia Nurses Association, National Association of Pediatric Nurse Practitioners, and Sigma Theta Tau Nursing Honor Society. Along with her board certification, Kristi is certified in Neonatal and Pediatric Advanced Life Support. Kristi is married and has three children. 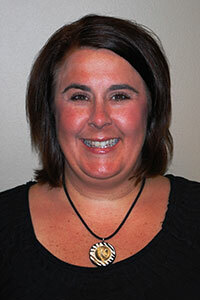 She has been with Pediatric Associates since 2000.